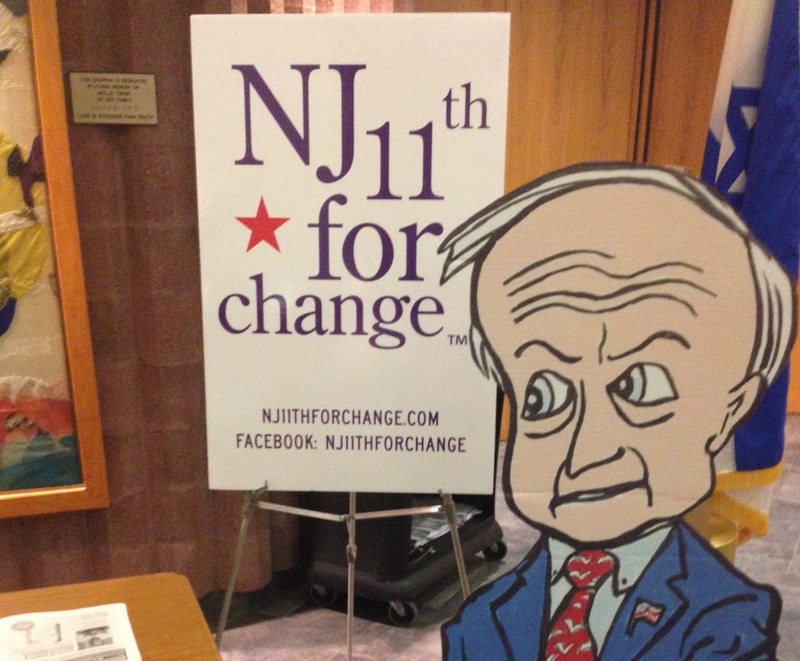 Instead, Bross showed up last Thursday at one of several “empty chair” town halls the activist group NJ 11th for Change organized during the Presidents Day recess. A Republican since the 1970s, Bross voted for Frelinghuysen last fall — and for Hillary Clinton. “I’m done now,” Bross said. Frelinghuysen, he said, has shifted too far to the right for this suburb of New York City. He’s ready to see a Democrat hold the 11th District seat. For the first time in recent history, national Democrats have included Frelinghuysen and fellow Republican Rep. Leonard Lance in the neighboring 7th District on their initial list of targeted seats for 2018. They represent the type of well-educated districts Democrats hope will help them gain the 24 seats they need to win the House majority. And Bross is just the kind of crossover voter Democrats need to make that happen. But the success of that strategy is predicated on 2018 looking like 2016, when President Donald Trump underperformed other Republicans among affluent, college-educated voters. “Was 2016 an anomaly or are things moving in that direction?” asked one Democratic strategist who’s done work in the Garden State. Without Trump on the ballot next year, it’s possible “suburban districts that are more congenitally Republican will stay that way,” he said. Lance was the only New Jersey Republican to hold town hall meetings last week. He was greeted by constituents angry about what they saw as an insufficient effort in Congress to hold Trump accountable. But even if, as national Republicans insist, many of the angry people at town halls across the country are Clinton voters — a likely bet in Lance’s district, which Clinton carried by a point — there’s been little effort to determine just how many of them also voted for GOP members of Congress and are having second thoughts. At least some constituents who supported Lance and Frelinghuysen in the past said both congressmen have migrated too far right. Bross, the Livingston Republican, is upset Frelinghuysen has sided with conservatives to overturn an environmental regulation and make it easier for the mentally ill to purchase firearms. He’s incensed that Frelinghuysen has changed his tune on Planned Parenthood. The congressman and his wife used to donate to the local chapter, but since 2015, he’s sided with the House GOP conference on votes that would allow grants or reimbursements to be denied to the women’s health organization. “These are three things he could have voted ‘no’ on. And no one in Washington would have given him a second look because of his district,” Bross said. Maria Slabaugh, an indepedent, has voted for Frelinghuysen since she moved to the state more than a decade ago. But she won’t anymore. “He’s not voting how he used to,” she said. The 44-year-old Madison resident stood outside Frelinhuysen’s Morristown office last week with an American flag poking out of her trench coat. She was there to send the congressman a message that the tele-town hall he held last week wasn’t enough. Slabaugh said she wants someone else to represent the 11th District. “If that’s a Democrat, that’d be great. And if that’s a moderate Republican, that’s fine too,” she said. Further down the line of protesters stood 24-year-old Jeremy Levine, a Republican. “I’m here because of Donald Trump,” he said. Levine was frustrated that Frelinghuysen supported Trump, but he voted for Frelinghuysen anyway because he didn’t know anything about his opponent. “It’s usually a sacrificial lamb,” he said. Next year, he said, he’ll be more open — even to a liberal Democrat. “If you’re not for the wall or for mass deportations, you have my vote,” he said. Democrats are most optimistic about Lance’s 7th District since it’s the only New Jersey district represented by a Republican that Clinton won. But the 7th is still traditionally Republican. Mitt Romney carried it by 6 points in 2012, and Lance won re-election by 11 points last fall. And Democratic efforts to tie down-ballot Republicans to Trump didn’t work out so well in 2016. But they insist that House Republicans will be bearing an entirely different burden now that Trump is the president. Still, Democrats are careful not to inflate expectations about Frelinghuysen’s district. While Trump carried it by a point, Frelinghuysen won by 19 points. The new chairman of the Appropriations Committee is the sixth member of his family to represent New Jersey in Congress and one of the wealthiest lawmakers. Still, former Democratic Gov. Richard Codey, now a New Jersey state senator whose district overlaps with parts of Frelinghuysen’s, thinks both congressmen are vulnerable because of the anger toward Trump. “Don’t mistake what exists today for what hopefully will exist in a year, almost two years,” he said, suggesting that the protests of the past month may be just be the beginning of a larger movement. But there’s also the chance that the energy burns out. “It’s only realistic if the momentum we see now can be sustained and if we can identify individuals who can be a new face for the Democratic Party,” said Sherry Kirschenbaum, a Democrat who attended last Thursday’s “empty chair” town hall for Frelinghuysen. Meanwhile, national Republicans scoff at Democrats’ sense of opportunism, questioning their ability to find — and nominate — candidates who fit these districts’ moderate profiles. They’re eager to put Democrats on the defensive in the nearby 5th District, won by Trump and where Democrat Josh Gottheimer unseated longtime Republican Rep. Scott Garrett after he ran afoul of the national party. “I predict we’re not going to have a congressional delegation of 11 Democrats and one Republican, ladies and gentlemen,” he said.